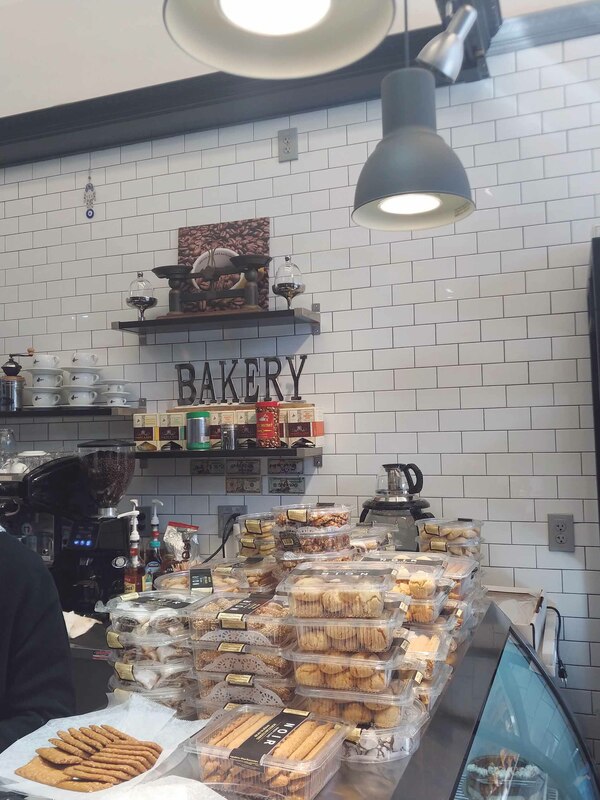 Noir Bakery just opened on Cutter Mill Road, offering common bakery items and Israeli options. 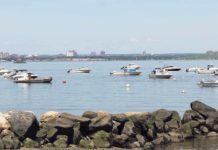 Great Neck has seen many new kosher restaurants cater to both observant Jews and customers looking to try fantastic food reminiscent of fare they’ve had in Israel. From fancy Persian places to burger shops to even Chinese and Japanese joints, kosher cafés have developed innovative and delicious interpretations of classic dishes from across the globe, substituting ingredients to adhere to kashruth laws. Despite the wide range of kosher options on the peninsula, not a single eatery specialized in Israeli sweets and cakes—until now. 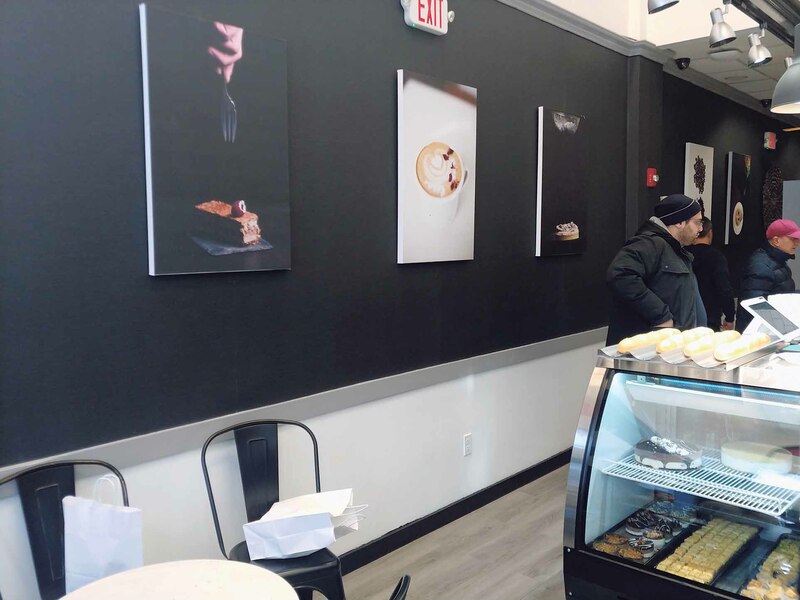 Noir Bakery, located at 25 Cutter Mill Rd., is looking to fill in this void, featuring both common bakery items, like croissants and fresh breads, along with Israeli options prepared with ingredients from the Promised Land. Their dough, prepared in Israel, is shipped frozen to the United States and acts as the foundation for most baked goods. The bakery prepares prepackaged dry nut-based products, including Moroccan cookies seasoned with cinnamon and sesame breadsticks. Manager Dean Sinai’s father, Tiran, originally had the idea to open an Israeli bakery. Tiran and his wife, Nancy, who were both born in Israel and have lived in Great Neck for nearly a decade, opened the bakery to bring the rich tastes of their homeland to Long Island. Many customers say the options at Noir bring back memories from their childhoods in Israel. From date rolls to chocolate rugelach, staffers work hard to ensure the products are not only fantastic quality but also perfect replications of Israeli desserts that encapsulate years of history and hardship. 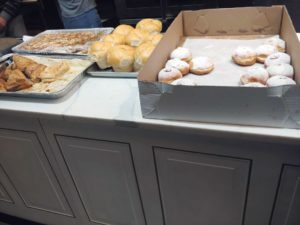 Within the first week, the bakery was packed every day, customers lining up outside to purchase decadent desserts and freshly brewed hot coffee. 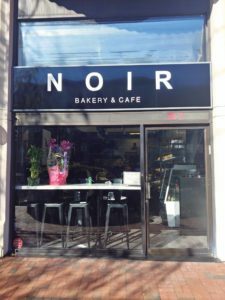 Noir’s small black-and-white dining area is stunning, featuring a gorgeous display of fresh pastries and artsy photographs of cakes and coffee reproduced on canvas. Noir’s small dining area is stunning, with a prominent black and white motif. 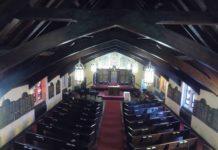 From black metal chairs to a gorgeous display of fresh pastries to artsy photographs of cakes and coffee to Israeli music playing softly, the small dining area provides a place to relax and talk with friends. The service is extremely professional, catering to the needs of every customer and describing each option’s distinct flavor profile. 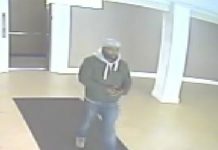 The family that runs Noir hopes every customer is treated like part of the family. 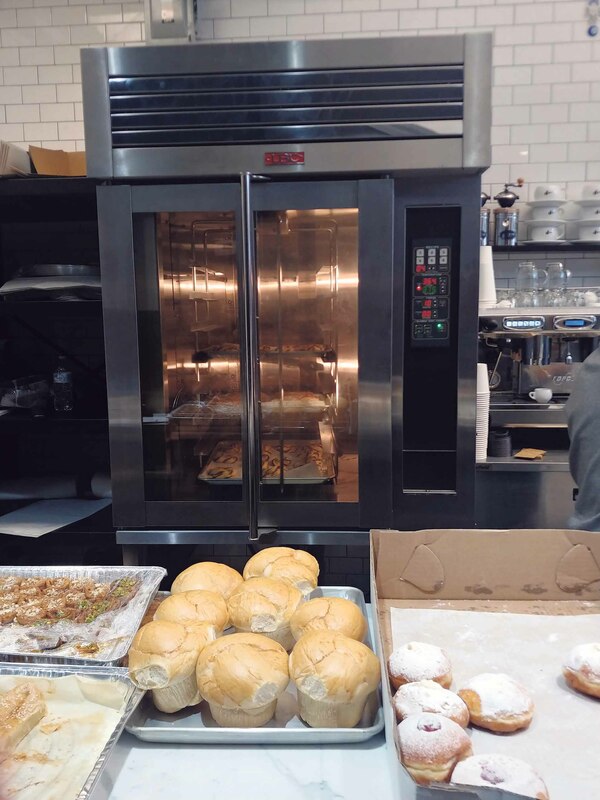 The kitchen is equipped with state-of-the-art equipment like LBC mini-rack ovens to prepare fresh pastries and breads made of this special dough from Israel. The kitchen is equipped with state-of-the-art equipment, like LBC mini-rack ovens, to prepare fresh pastries and breads. Noir Bakery offers diners a stellar selection of Israeli sweets prepared from authentic ingredients. From popular favorites like flaky and sugary chocolate croissants to Ashkenazi babka to more traditional options like ma’amoul cookies made with pistachio and crushed dates, the surprisingly reasonably priced pastry options offer a vast selection of sweet, tart and tangy flavors. Phyllo dough features prominently in the apple turnovers and sesame pastries, while fresh strawberry jelly stars in the sufganiyot or jelly doughnuts. Noir Bakery also prepares prepackaged dry nut-based products, including Moroccan cookies seasoned with cinnamon and sesame sticks. From homemade challah to Moroccan Frena bread to kubaneh rolled in clarified butter, the bread selection pays homage to Israel’s rich agricultural sector. All of these products are parve and follow all kashrut laws. 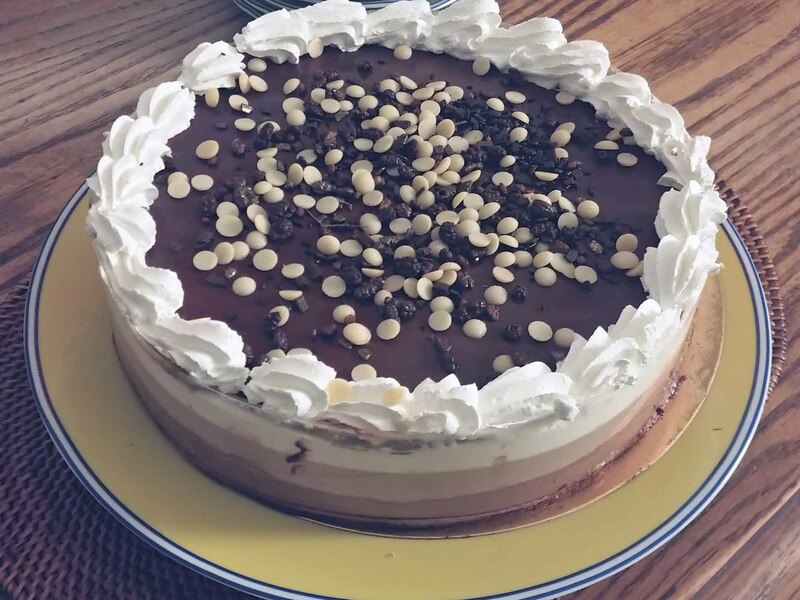 The tri-chocolate cake has a rich chocolate cake base, chocolate mousse, a layer of vanilla and hazelnut icing and a smooth dark-chocolate top, covered with white chocolate chips. Noir also prides itself on its selection of freshly prepared cakes, each priced between $20 and $35. The tri-chocolate cake consists of a rich chocolate cake base, a layer of smooth chocolate mousse, a layer of vanilla and hazelnut icing, and a smooth dark-chocolate top, covered with white chocolate chips, which offers a nice mix of textures. Other favorites include Noir’s divine cheesecake, Kinder chocolate cake and Oreo cake. 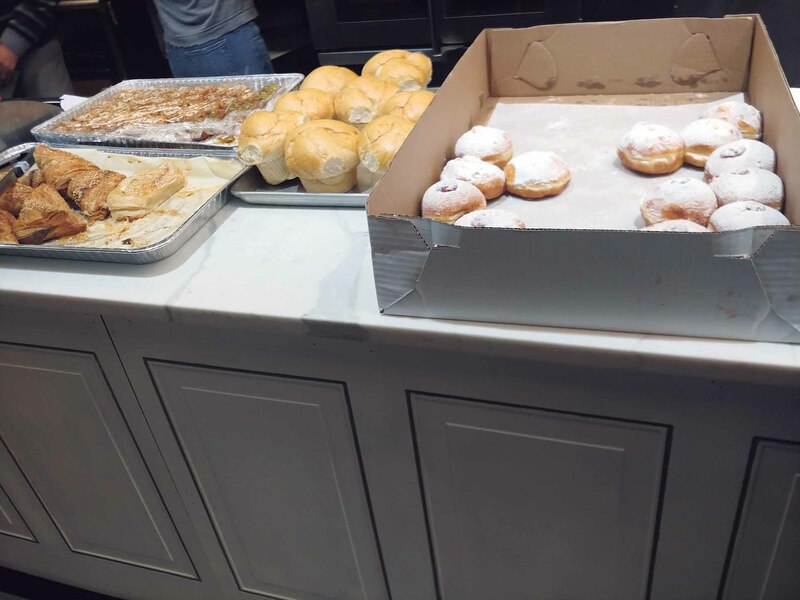 The bakery also distributes its pastries and desserts across the tristate area, delivering six days a week—Sundays through Fridays—to hotels, convention centers and restaurants. 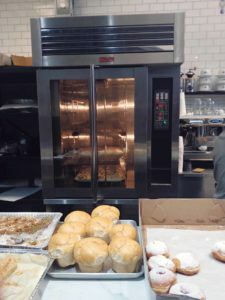 The bakery offers baked goods prepared using dough flown in frozen from Israel and then braided and rolled in their kitchen. 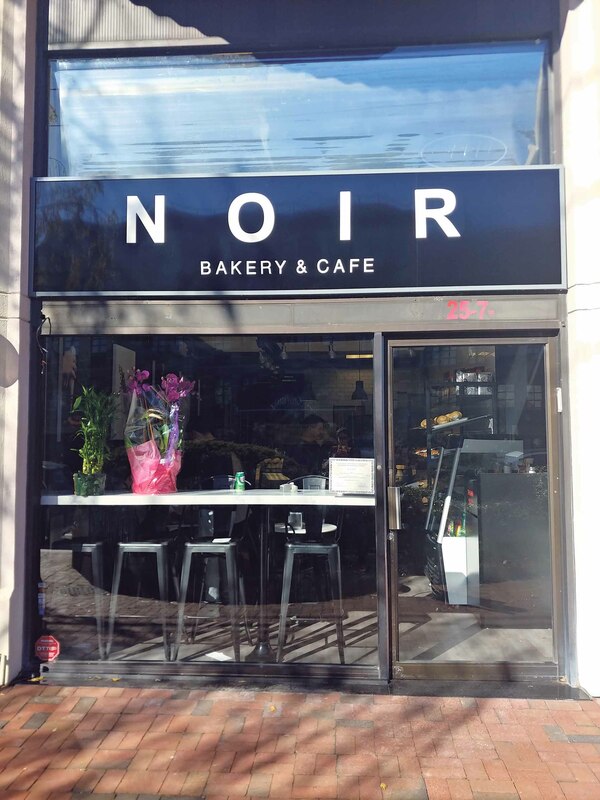 In addition, Noir prepares cakes and pastries for all sorts of events. 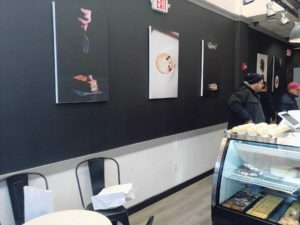 The bakery hopes to expand its menu to feature options like omelets, sandwiches and other confections to cater to a larger audience.